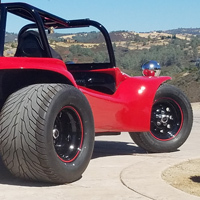 Our flagship product is the Stripe-It-All Wheel Striping System. Order a Stripe-It-All Tool Now! We strongly believe that we have developed the fastest, easiest, most flexible method of installing vinyl striping on wheels. With a Stripe-It-All Tool, you can install a set of Rimstripes on your car, bike or motorcycle in an hour or less, from cleaning to installed. Our tool is the only tool on the market that allows you to adjust several settings - not only can you install all three of our Rimstripe widths with one tool, you can adjust the spacing between the stripe and the rim of the wheel to adapt for different wheel types. 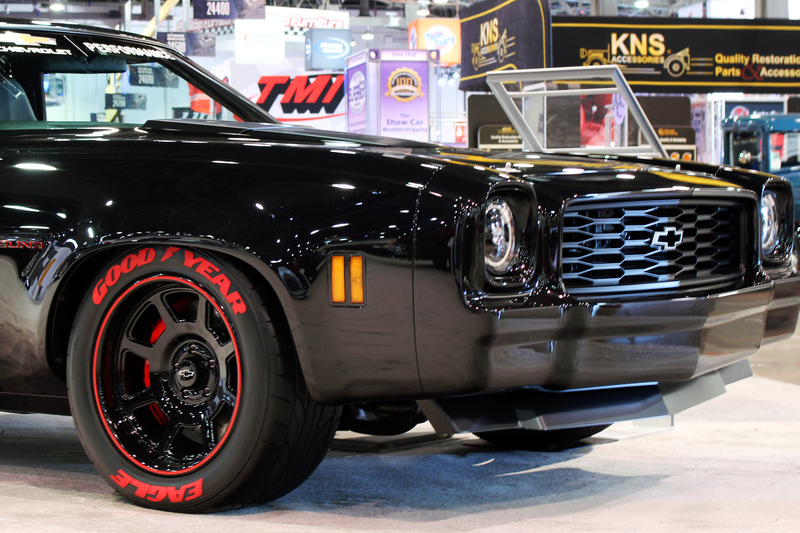 The car you see in the background of this page is a custom 1973 Chevrolet Chevelle Laguna that debuted at the Chevy Performance Booth at SEMA 2018, which was outfitted with a set of our 6032 Fire Red Rimstripes. Those stripes were a perfect match for those cool red stick-on Goodyear letters from TredWear. Thanks for to Tredwear for letting us use their photos! Tapeworks also entertains custom orders. We use Adobe Illustrator to design, print, and cut our products, so if you would like a custom decal made, we urge you to send us an .ai or .eps file for the fastest, easiest production. Please do not hesitate to send us an inquiry if you have one.